Congress should join the 70% of Americans who oppose arming Syrian rebels, an act that will come back to haunt us. The Senate and House Intelligence committees’ about-face decision this week to arm the rebels in Syria is dangerous and disconcerting. The weapons will assuredly end up in the wrong hands and will only escalate the slaughter in Syria. Regardless of the vetting procedures in place, the sheer factionalized nature of the opposition guarantees that the arms will end up in some unsavory hands. The same militant fighters who have committed gross atrocities are among the best-positioned of the rebel groups to seize the weapons that the United States sends to Syria. Congress can still join with the 70% of Americans who oppose arming Syria rebels and heed former National Security Advisor Zbigniew Brzezinski’s caution against arming the rebels (he called the Obama Administration’s decision to do so “a mess in the making”). Let’s hope they do. 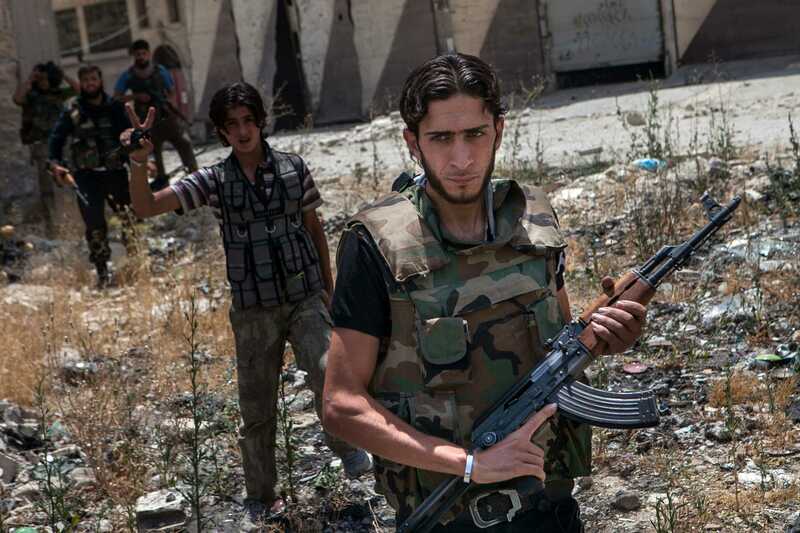 Arming one side of Syria’s multi-sided and bloody civil war will come back to haunt us. Past decisions by the U.S. to arm insurgencies in Libya, Angola, Central America and Afghanistan helped sustain brutal conflicts in those regions for decades. In the case of Afghanistan, arming the mujahideen in the 1980’s created the instability that emboldened extreme militant groups and gave rise to the Taliban, which ultimately created an environment for al Qaeda to thrive. There is no unified command or control in the Syrian opposition, as was the case of the Afghan mujaheddin. And due to the United States’ long history of diplomatically isolating Syria, we know even less about the nature of Syria’s opposition. The excuse that “the enemy of my enemy is my friend” is often invoked to justify anti-Assad forces. This short-sighted excuse has gained the U.S. enemies around the world, undermining U.S. national security. The same justification was used by the Bush Administration in its collaboration with the Assad regime to torture suspected militants in Syria. Arming the enemies of our enemies hasn’t made the U.S. more friends, it has made the U.S. more enemies. That is why only a diplomatic solution can stop the bloodshed. Arming one side in Syria’s vicious civil war undermines diplomatic opportunities and will inevitably harden the resolve of the Assad regime and the rebels to fight it out to the last Syrian. Some armed opposition factions, including powerful Islamist coalitions, reject negotiation altogether. Yet these are the same groups that will likely seize control of U.S.-supplied weapons, just as they’ve already seized control of the bulk of the rebels’ weaponry. There is no question that gross human rights abuses have been perpetrated on all sides. According to a report from the Syrian Observatory for Human Rights released this month, more than 90,000 Syrians who have been killed since March of 2011. This group, which is widely considered the most authoritative tracker of violence in Syria, concluded that Assad’s soldiers and security forces make up 43 percent of the dead in Syria. Civilian non-combatants make up the next largest group of the dead; nearly 37 percent of the total. Anti-Assad fighters account for 17.3 percent of those killed. Many of the approximately 17,000 anti-Assad fighters killed are simply trying to protect their families and communities from Assad’s murderous assaults. But when you lift the curtain on the armed groups with the most formidable military presence on the ground in Syria, you find the Al Nusra Front and Al Farough Brigades. Both groups are closely aligned with Al Qaeda and have directly perpetrated barbaric atrocities. The Al Nusra Front has been charged with beheadings of civilians, while a commander from the Al Farough Brigades reportedly ate the heart of a pro-Assad soldier. Though the Intelligence Committees have signed off on further militarizing the conflict with U.S. arms, Congress still controls the purse strings. Members of Congress should support the bipartisan legislation led by Senator Tom Udall (D-NM) in the Senate and Reps. Peter Welch (D-VT) and Rep. Chris Gibson (R-NY) in the House that would block military aid to Syria. We must stop sending arms to Syria. Let’s keep the blood off our hands. Michael Shank is the director of foreign policy at the Friends Committee on National Legislation. Kate Gould is the legislative associate for Middle East policy at FCNL. Rules of War: What Are They? And Who Makes Them?